Notice: On Multiple Items you will only be charged actual shipping. My name is Richard Angelico... welcome to Cayenne Metal Detectors - Purveyor of XP Deus wireless detector, Garrett & Whites detectors. 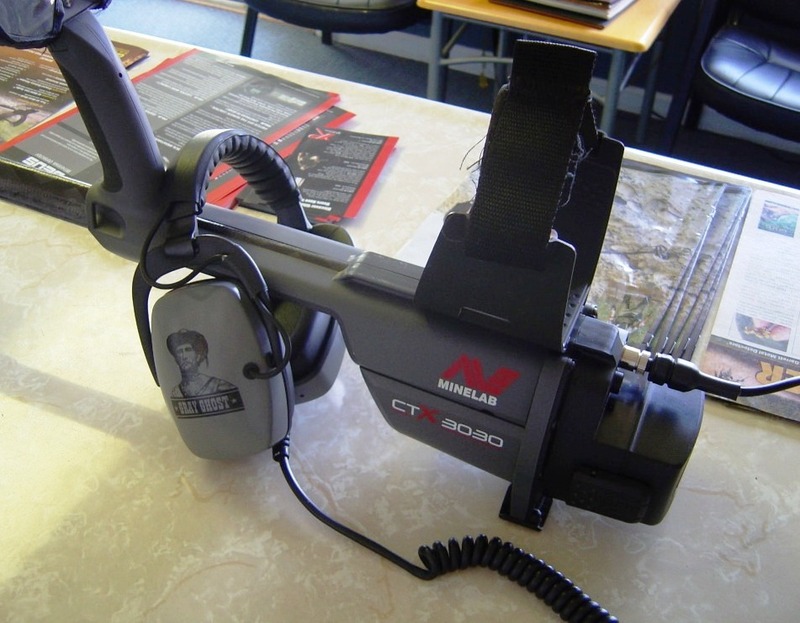 The finest metal detectors & accessories available for Relic Hunting, Coin Shooting, Treasure Hunting or Gold Prospecting. 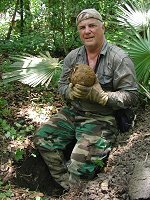 Personalized service and support from a successful, experienced detectorist. Where Quality & Performance is Paramount! These new version 5 settings are active even if you do not have a new X35 coil. A nice gift for all DEUS owners who just use the headphones! Turn Off The Remote Control… DEUS Continues To Work! 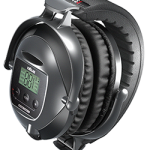 XP is proud to announce the upcoming release of a second model, wireless headphone for the XP DEUS Wireless Metal Detector, the WS5. 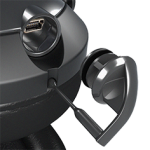 The WS5 is a full sized ear-cup wireless headphone. This headphone model is fully weatherproof. The unique design allows you to comfortably isolate outside noise and adverse weather conditions. 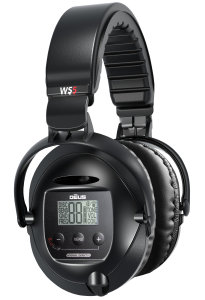 In the absence of the remote control, the WS5 alone can operate the DEUS metal detector thanks to its built in controls – without any power loss! The large LCD display allows the user to control the following on the XP DEUS: discrimination, sensitivity, ground balance, tones, pitch, frequency, factory programs, volume and coil change. List Price $470 OUR PRICE $429.00 Plus $8.75 shpg. OUR PRICE $165.00 Plus $8.75 shpg. Manufactured for exclusive use with Garrett AT Pro/Gold and Infinium metal detectors. 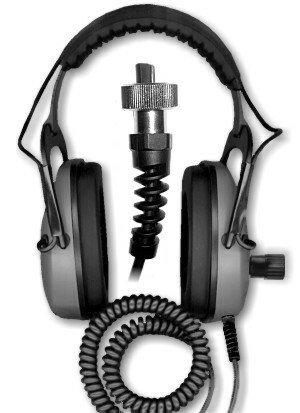 Gray Ghost Amphibian headphones are designed to be fully waterproof and suitable for ALL wet or underwater applications to a minimum depth of 30 feet. Full-range volume control: One knob adjustable volume to YOUR desired level... Land or water... Blowing wind, pounding waves or any extreme condition... You will hear signals loud and clear!! Quality, comfort, fit and finish you expect from Gray Ghost: Once worn, you won't believe our headphones are designed for underwater use. They are as plush or more plush than most land phones. They fit snug and have soft cushions that won't slip off when encountering waves, submersing your head, or diving for treasure. Detect for hours in total comfort. Gray Ghost Amphibian headphones are warranted to be free of defects in materials and workmanship for 2 years as long as they are owned by the original consumer purchaser. This warranty is not transferable. If you did not send in the original warranty card and have a warranty issue, you must include a copy of your purchase receipt with return. IP68 RATED OVER-MOLDED CONNECTOR - our connectors are sourced from one of the world's largest manufacturers of connectors (not some overseas knockoff) and then over-molded for added strength, durability and strain relief. The manufacturer said it was "overkill" but we wanted nothing but the best!! IP68 means the connector is rated for continuous immersion in water under pressure. FULL VOLUME CONTROL - absolutely NO ISSUES with sound - our Gray Ghost Underwater headphones cut out the external speakers when connected PLUS we provide simple instructions on how to set your CTX 3030 to make your waterproof phones as loud (or as quiet) as desired.... With the wind blowing, waves crashing or in any EXTREME DETECTING conditions - you will still hear your signals loud and clear!! RECESSED CONNECTOR - our factory made plug sits recessed so it does not stick out beyond the battery module pack. Unlike some aftermarket modifications (we've seen on the forums) our plug will not be the "high point" on the back of your CTX so the chances of breaking the plug or damaging your $2500 machine are greatly reduced!!! HEAVIER GAUGE WIRE - our "pig-tail" wire is thicker, stronger and more durable than the standard Gray Ghost Underwater headphone wiring. We had our factory-built waterproof headphones made to last even in EXTREME DETECTING conditions!! Hey Jim - I got mine today too!!! The instructions on how to set the volume were spot on - I never read to do that in the Minelab manual. My Buddy came by - checked them out and decided he didn't want to wait until who knows when - so he ordered one right up. Received mine from the same place today. They look and sound great. Got mine today from same place AWESOME AWESOME AWESOME. I had to lower all my audio volume limit, threshold etc. I had all about maxed out on the koss. I cannot wait to get both these and the DMC's (as I bought them as well) out for a hunt! - Adjustable padded headband...no screws...no wire frame...no rust!